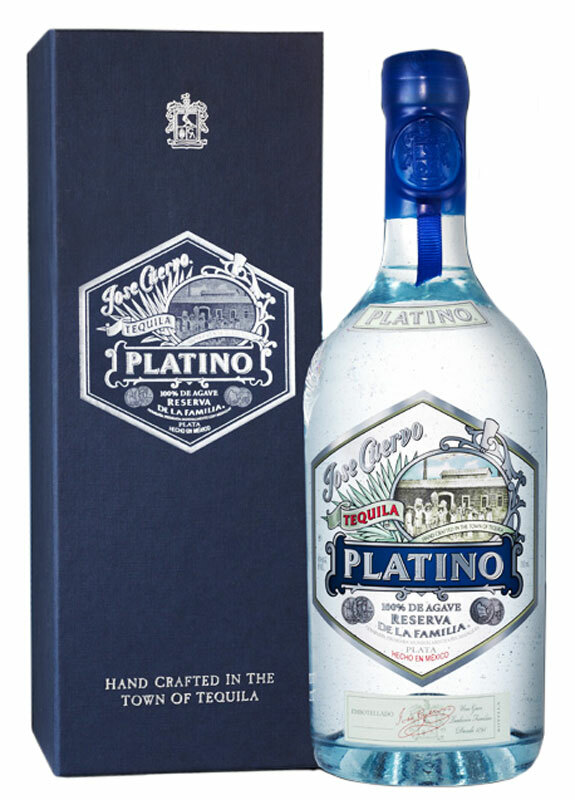 Jose Cuervo, the world's largest tequila company, announces the introduction of Jose Cuervo® Platino(TM), a handcrafted, limited-edition ultra premium silver tequila offering an authentic and superb spirit experience. Jose Cuervo Platino, part of the Reserva de la Familia collection, is made from 100% blue agave and is handcrafted using a unique process called "Esencia de Agave (TM)." This proprietary distillation method optimizes the tequila's agave notes resulting in a vibrant tequila of exquisite character and complexity - one that reflects the pure character and essence of Mexico's prized blue agave plant. Jose Cuervo Platino is created from hand-selected estate grown agave using the most flavorful inner portion of the agave's piña, further enhancing its distinct taste. Handcrafted in individually numbered bottles and presented in a beautiful blue wooden display box, Jose Cuervo Platino will be available in September 2007 in fine liquor stores, restaurants and lounges nationwide. Jose Cuervo Platino™ is the world’s best tasting Silver Tequila, thanks to the Cuervo family’s secret recipe and proprietary process – Esencia de Agave.™ This unique process developed by Cuervo master distillers starts with only the most flavorful hearts (the piñas) of the finest estate-grown blue agave. - Only 100% estate grown blue agave is utilized. - Each Bottle of Platino is hand crafted. - In a blind tasting conducted by the Beverage Testing Institute, Jose Cuervo Platino received 96 points, the highest rating ever awarded to a silver Tequila.